The weekend before last when the weather was boiling hot Liam and I drove to Cambridge to spend the night there. 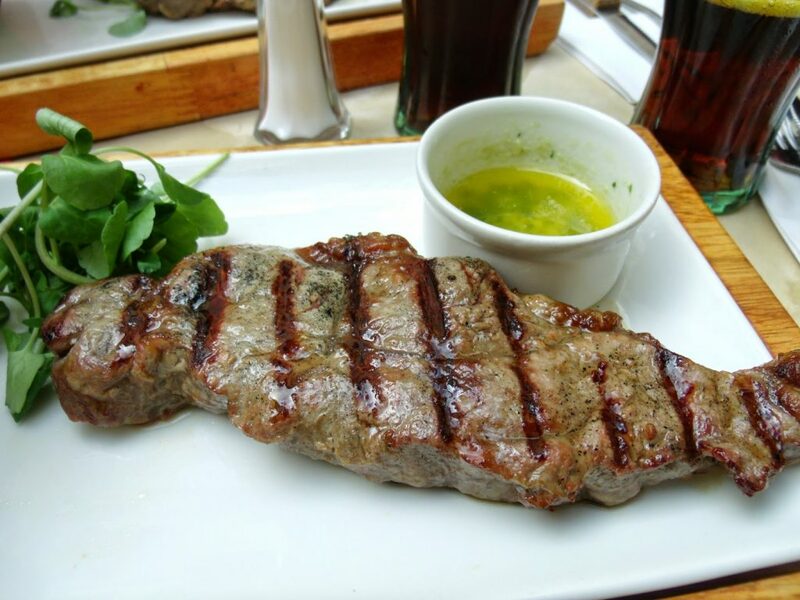 Intellicig kindly offered us a restaurant voucher which could be used in a wide range of high street restaurnt branches as part of their #GetSocial campaign. We chose to use our voucher to dine at Cafe Rouge, and because the weather was so gorgeous, we decided to sit outside. 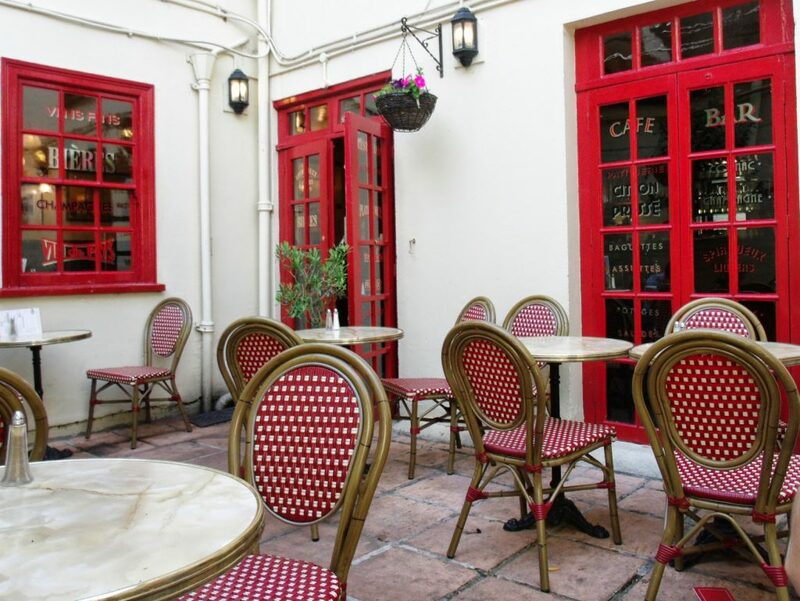 The restaurant had a gorgeous little courtyard outside with white washed walls and red window frames. I loved the relaxed atmosphere; al fresco dining at it’s best! 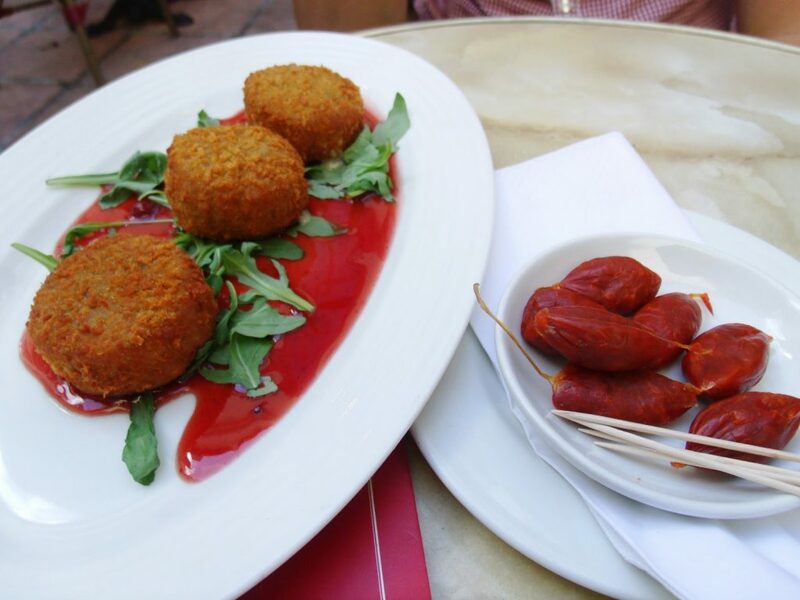 It was such a warm day that I quickly guzzled down a glass of Coke, and then we ordered our starters; spicy cured chorizo bites and breadcrumbed and deep-fried camambert cheese with cranberry and redcurrant sauce. These were both amazing and delicious! 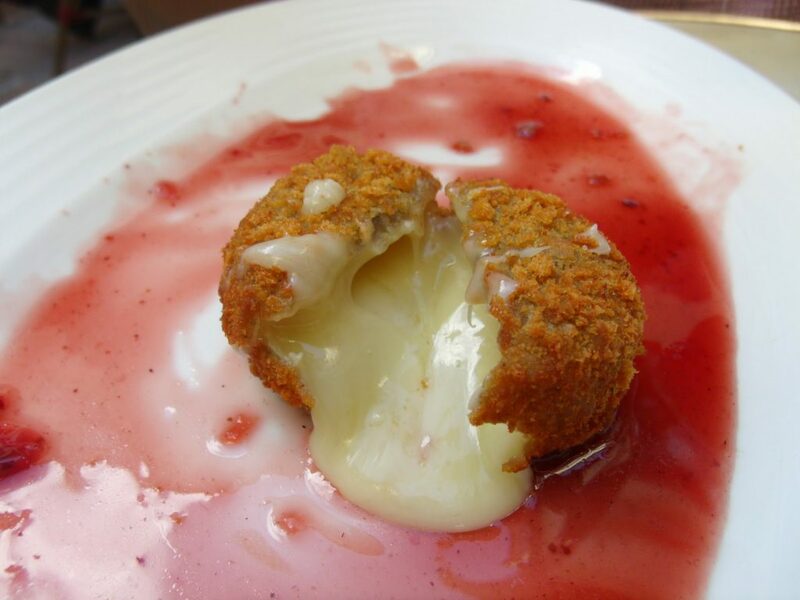 The camembert was so soft and melty… yum. 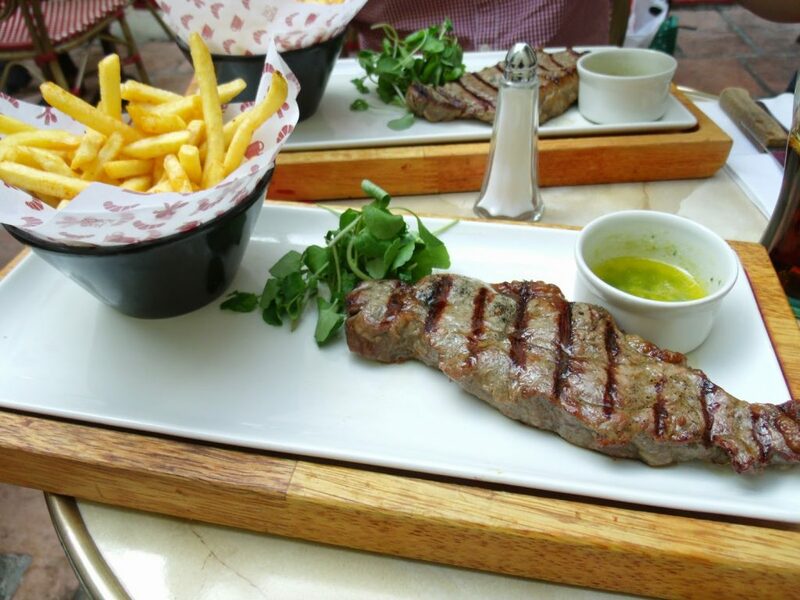 Then for our mains we both decided to go for the 35 day aged 8oz sirloin steak with garlic & herb butter and fries. It was perfectly cooked and succulent an filled me up for the whole day. As well as the restaurant voucher, Intellicig also gave us a TicketMaster giftcard to put towards a night out. After a lot of thought, as we’re staying in London at the beginning of August for my birthday weekend, we’re going to put it towards a night at the theatre. We’ve both been wanting to go and see The Lion King for ages, so we’ve booked seats to finally go! I cannot wait, the reviews all day it’s amazing and can’t be missed! What is your perfect Saturday night? Meal with friends, out partying, at a gig or perhaps a cosy night in watching a film? #GetSocial. To win your own perfect night out, enter via Rafflecopter below to win a £40 Restaurant voucher and a £40 TicketMaster voucher. Agh, am itching for a nice meal out somewhere! The food at Cafe Rouge looks deliciousss. That camembert looks heavenly, I love Cafe Rouge!